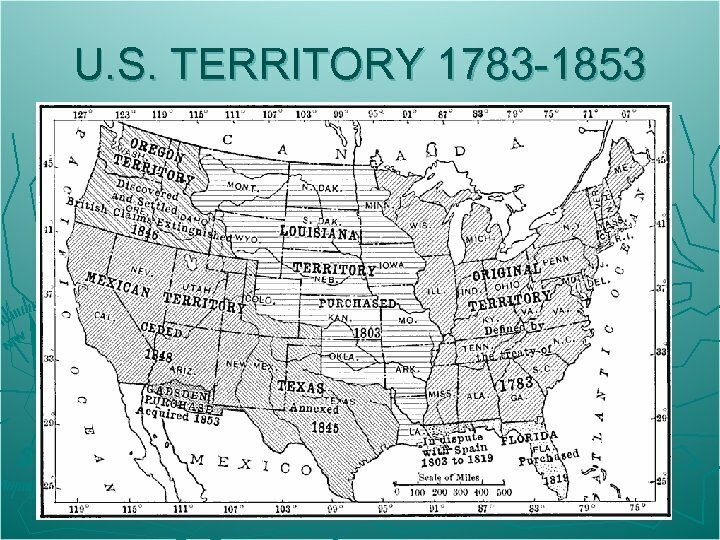 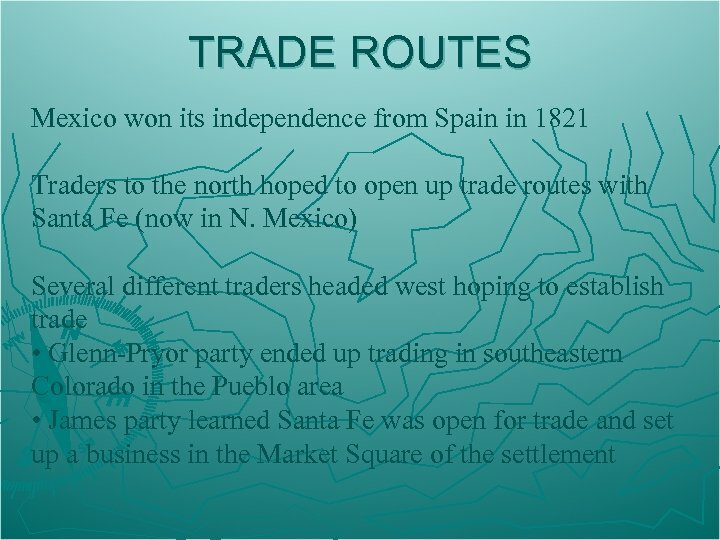 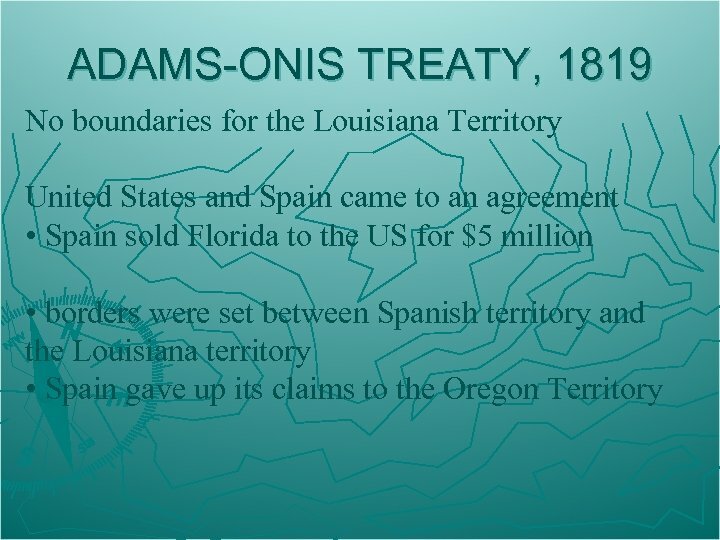 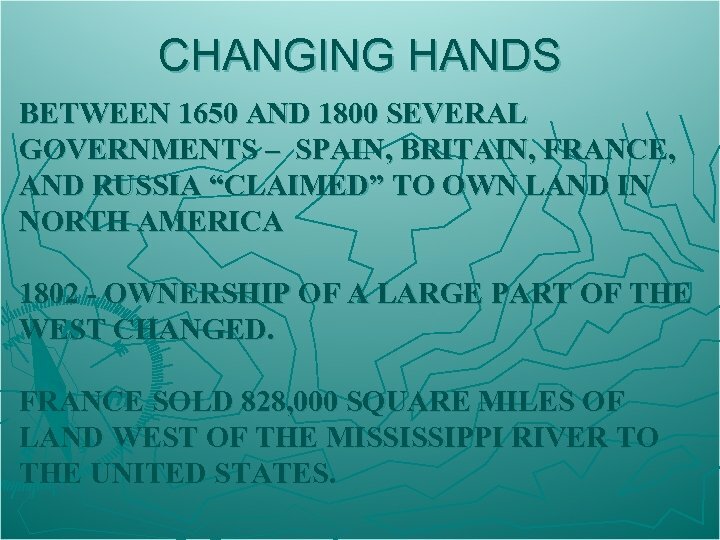 CHANGING HANDS BETWEEN 1650 AND 1800 SEVERAL GOVERNMENTS – SPAIN, BRITAIN, FRANCE, AND RUSSIA “CLAIMED” TO OWN LAND IN NORTH AMERICA 1802 - OWNERSHIP OF A LARGE PART OF THE WEST CHANGED. 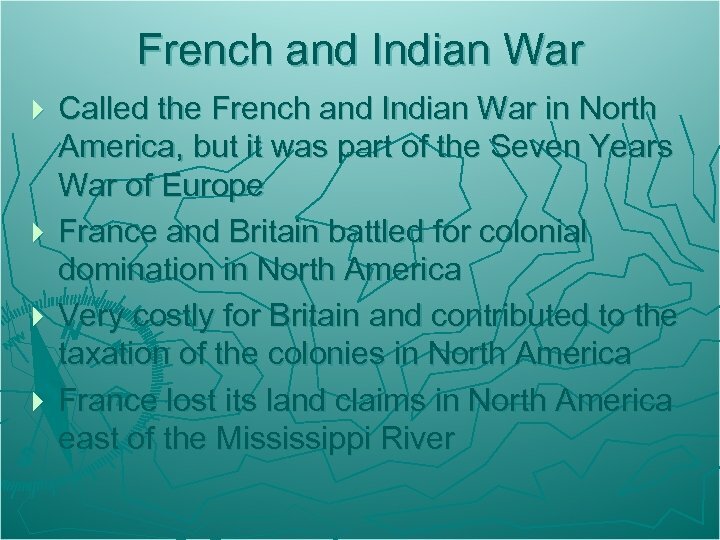 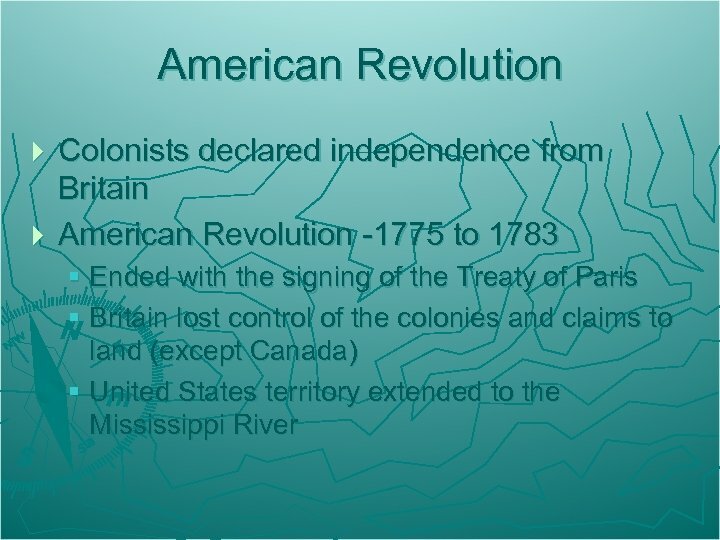 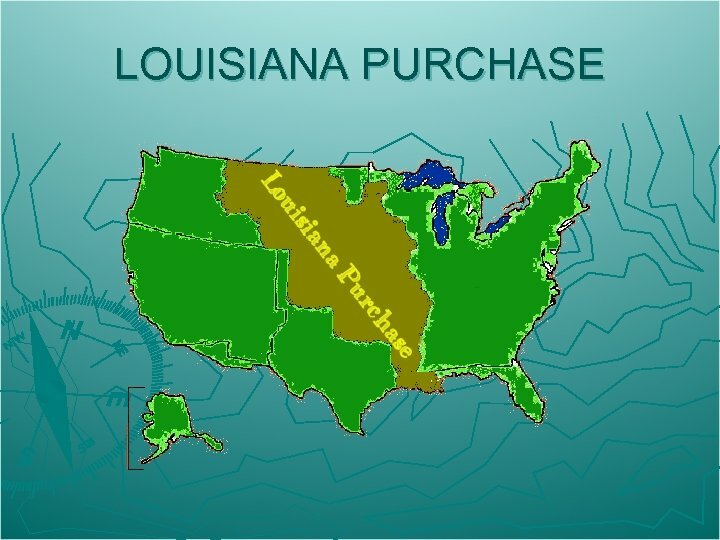 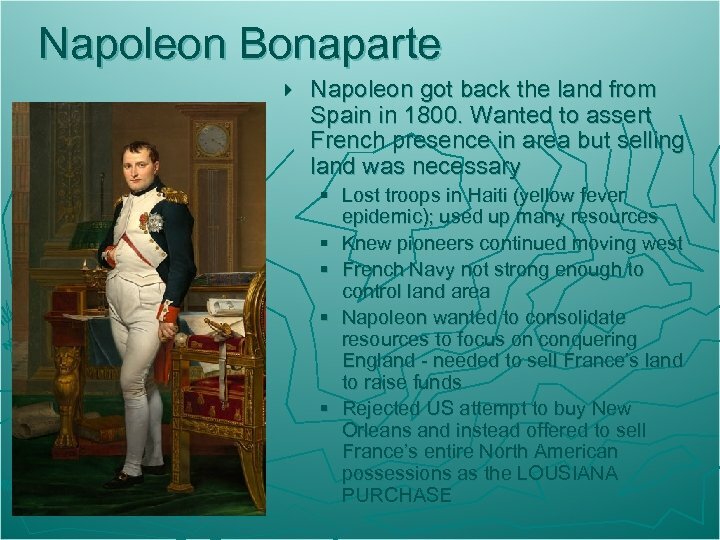 FRANCE SOLD 828, 000 SQUARE MILES OF LAND WEST OF THE MISSISSIPPI RIVER TO THE UNITED STATES. 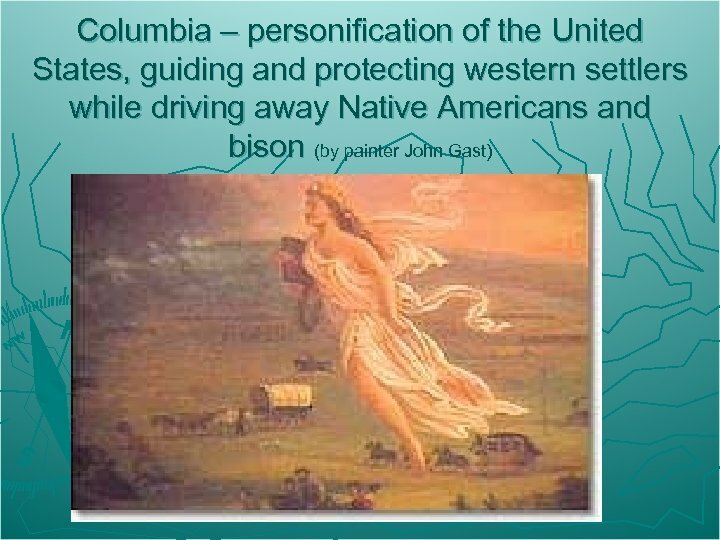 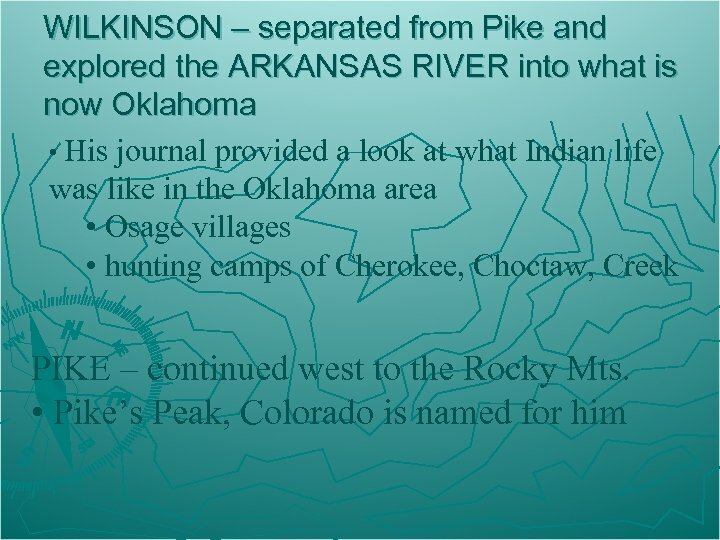 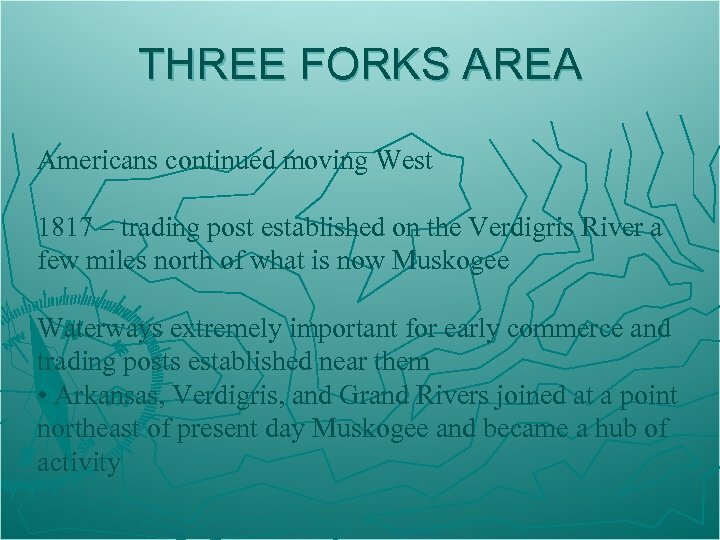 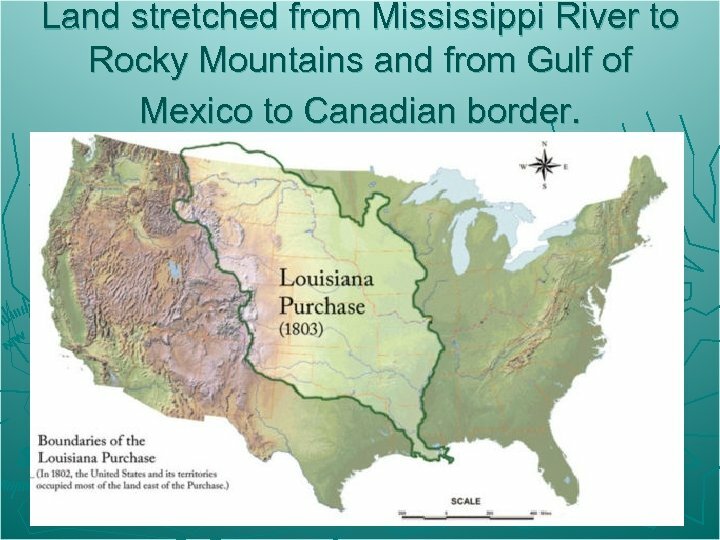 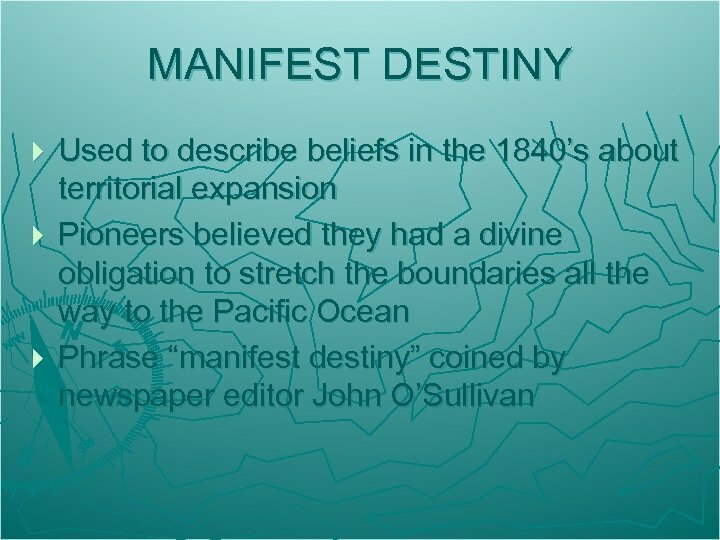 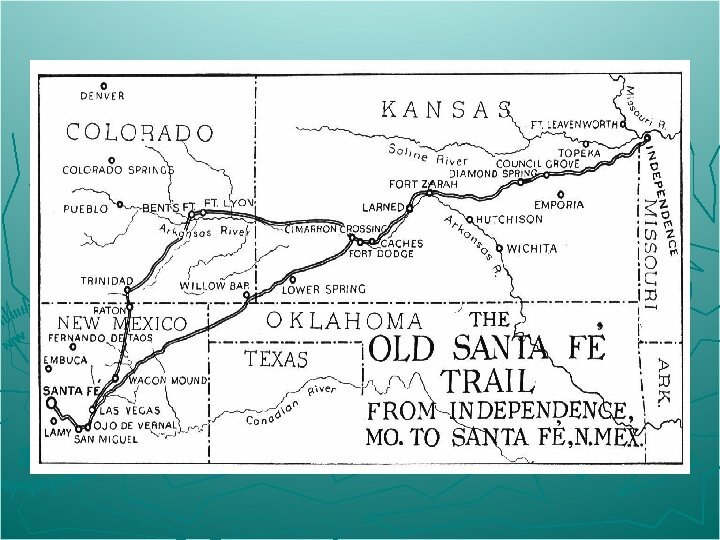 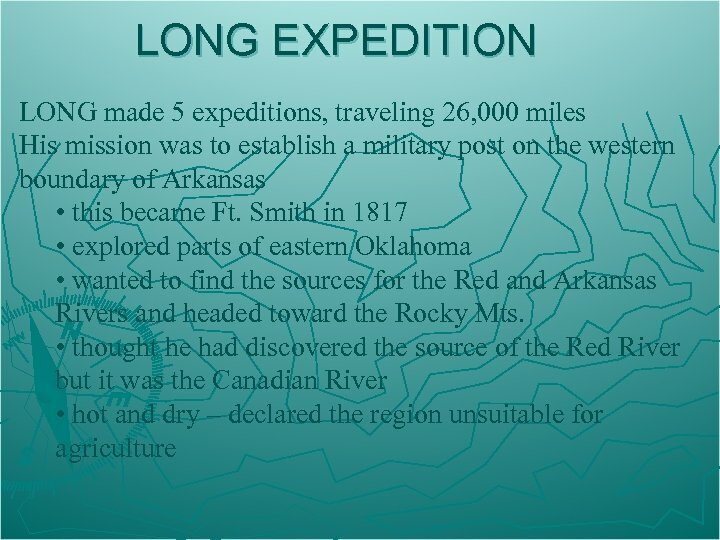 Land stretched from Mississippi River to Rocky Mountains and from Gulf of Mexico to Canadian border. 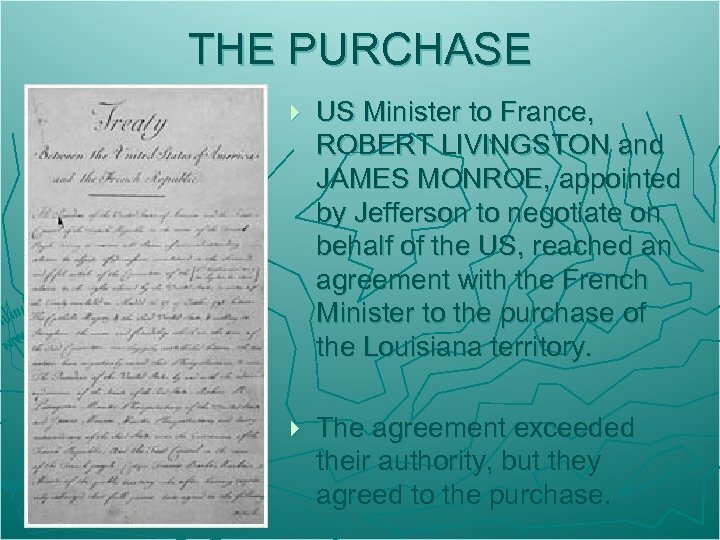 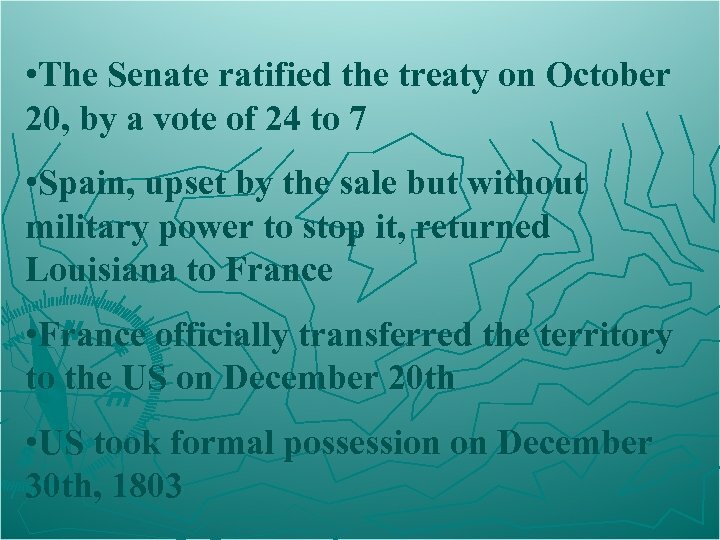 THE PURCHASE } US Minister to France, ROBERT LIVINGSTON and JAMES MONROE, appointed by Jefferson to negotiate on behalf of the US, reached an agreement with the French Minister to the purchase of the Louisiana territory. } 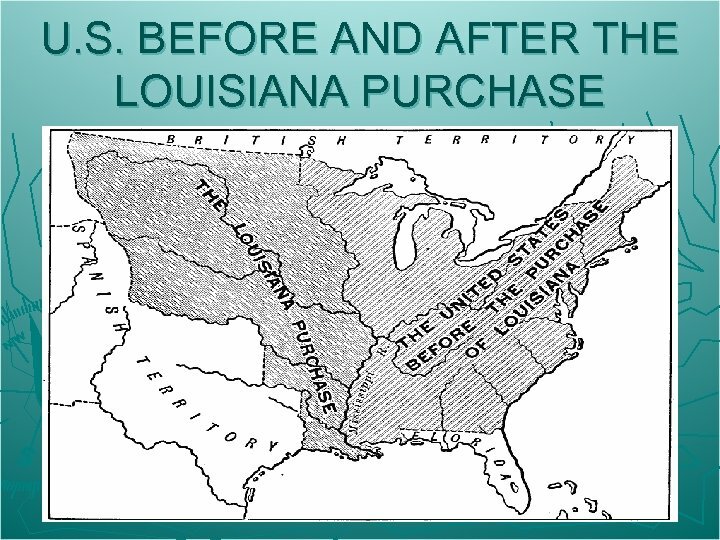 The agreement exceeded their authority, but they agreed to the purchase. 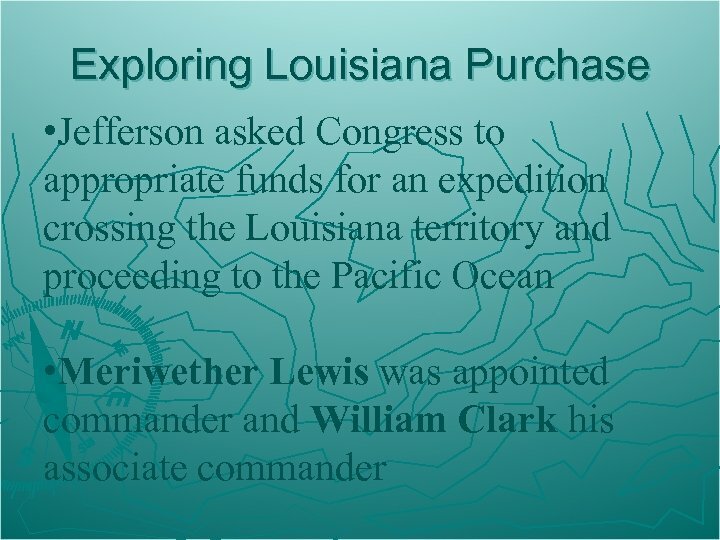 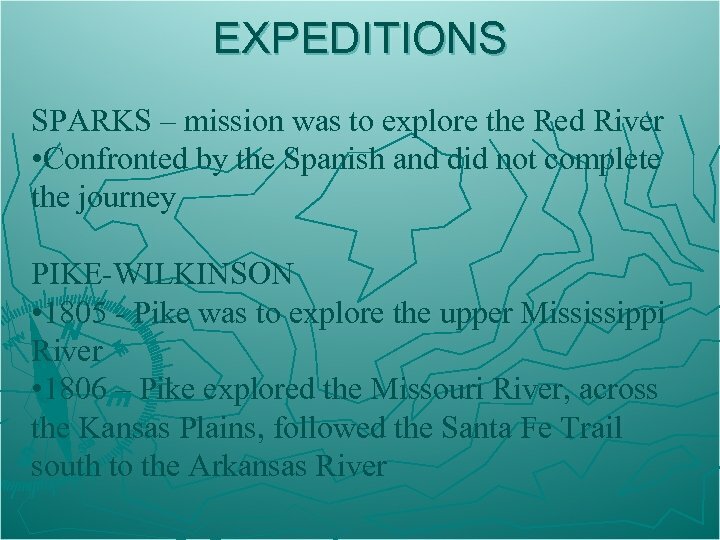 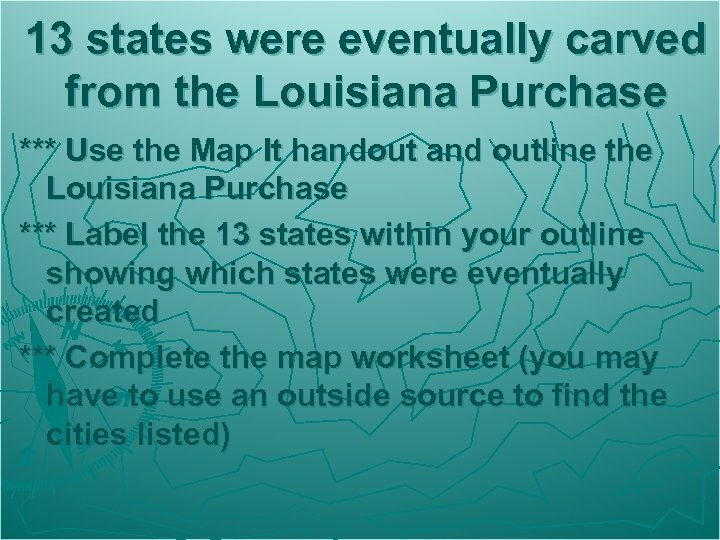 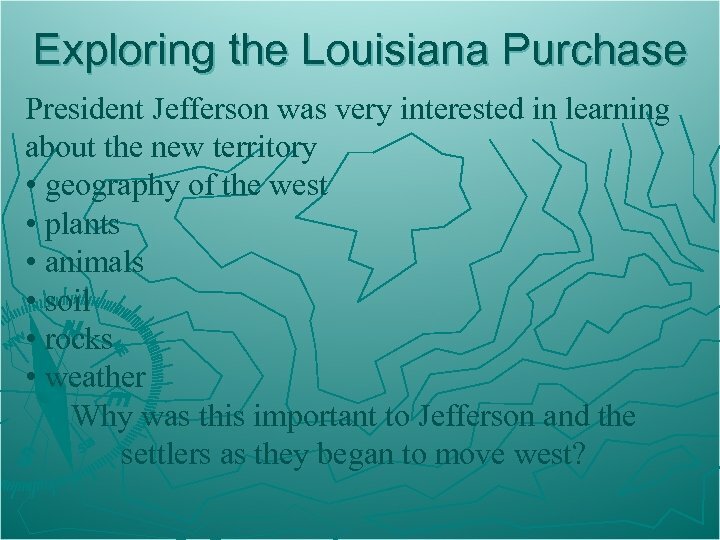 Exploring the Louisiana Purchase President Jefferson was very interested in learning about the new territory • geography of the west • plants • animals • soil • rocks • weather Why was this important to Jefferson and the settlers as they began to move west? 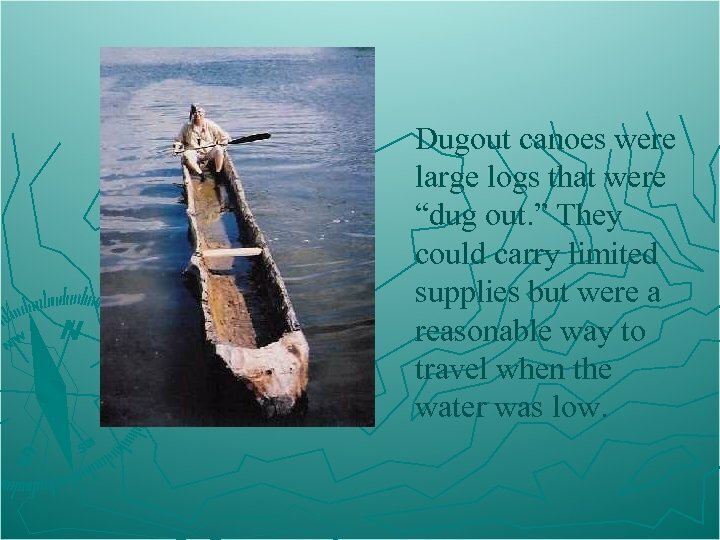 Dugout canoes were large logs that were “dug out. 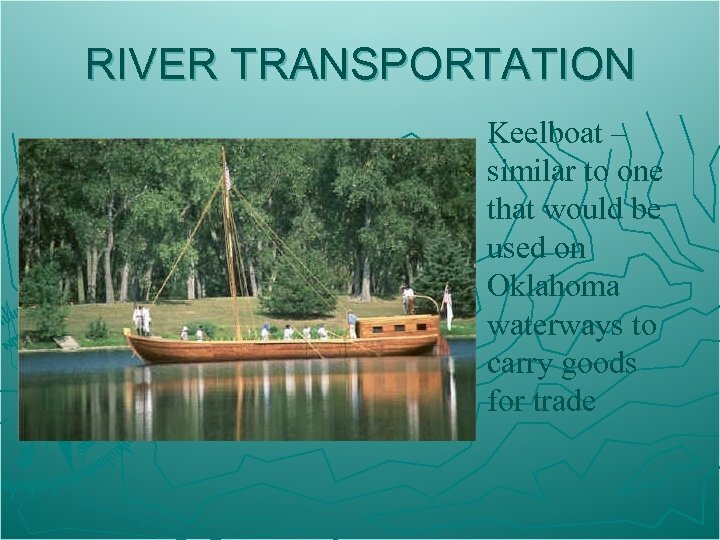 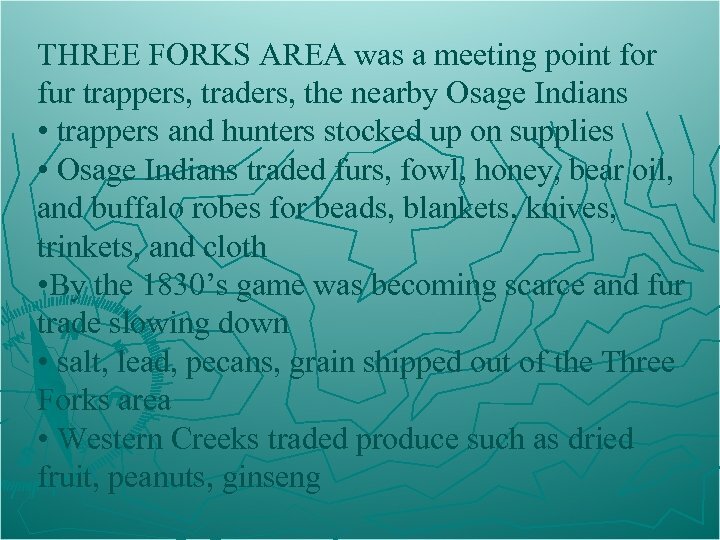 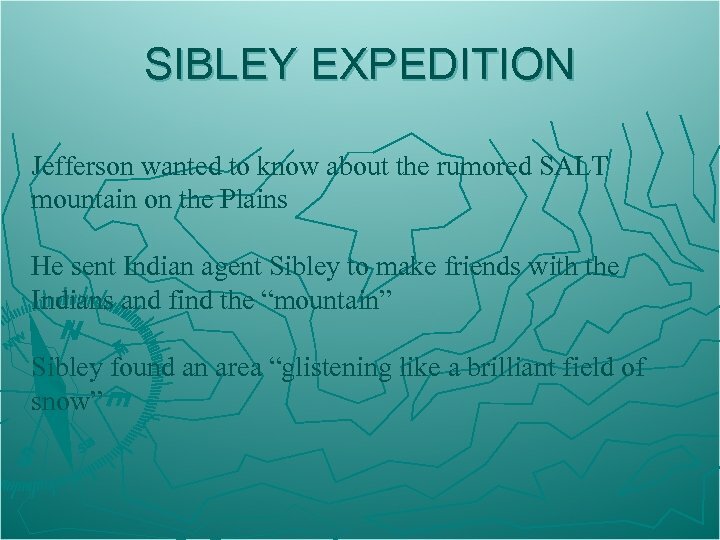 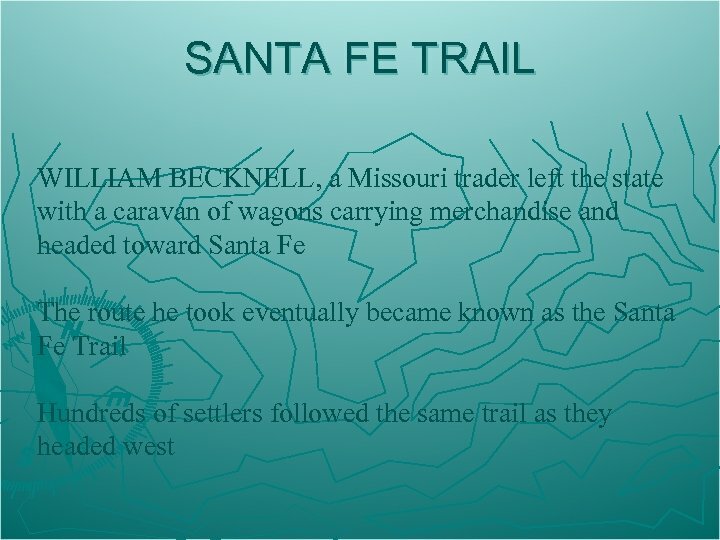 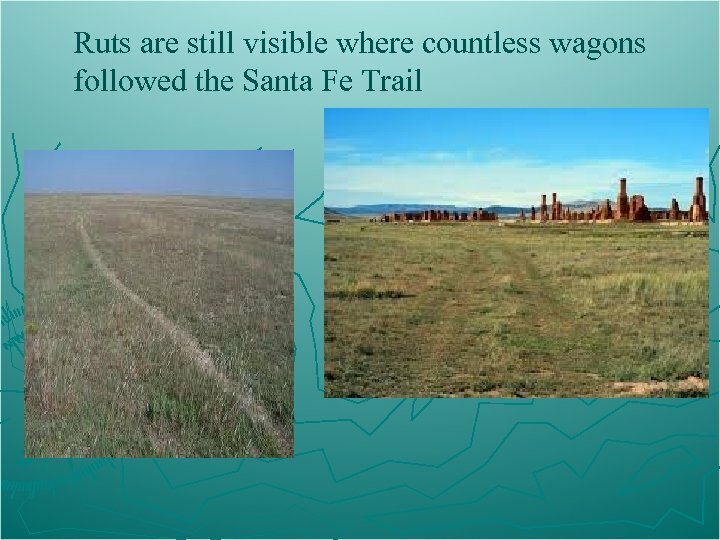 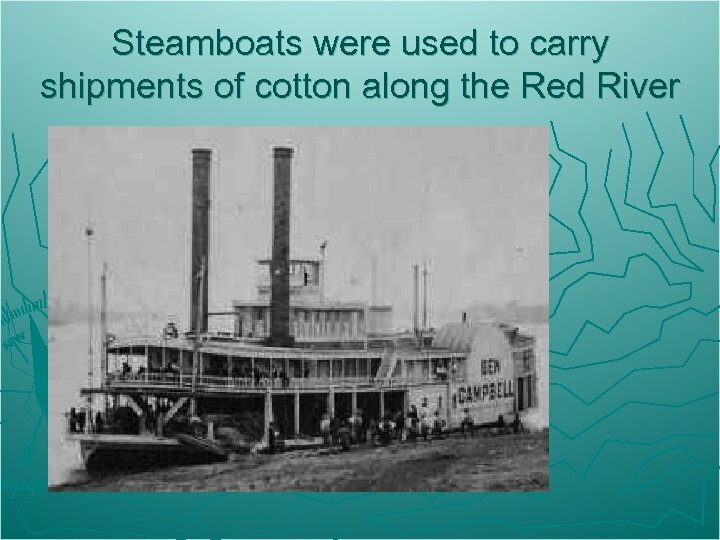 ” They could carry limited supplies but were a reasonable way to travel when the water was low.